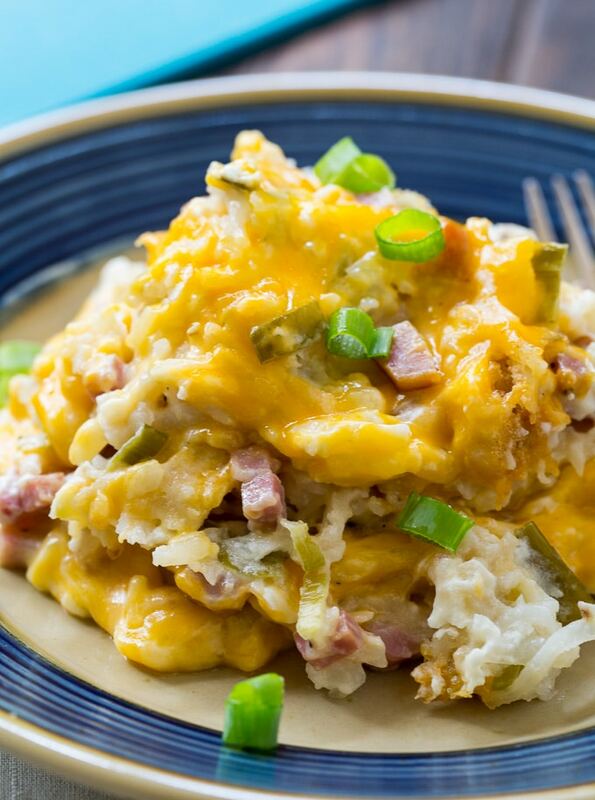 Crock Pot Ham and Cheese Hash Brown Casserole is super cheesy with chunks of ham and two kinds of cheese. It is great as an all in one breakfast or as a dish for an elaborate holiday brunch. 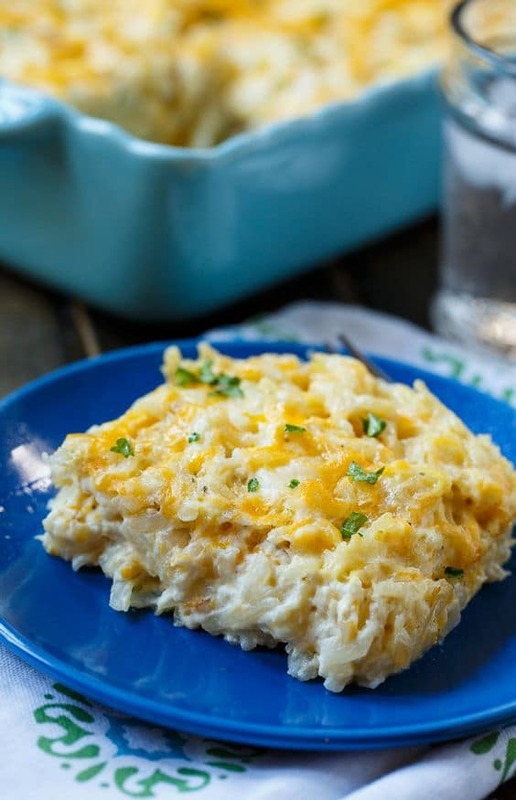 This is a really rich hash brown casserole which is the way I like my hash brown casseroles. It’s pure comfort food! Sour cream, cream cheese, and a can of potato soup make it super creamy. A combo of cheddar cheese and colby jack cheese adds plenty of cheese flavor. 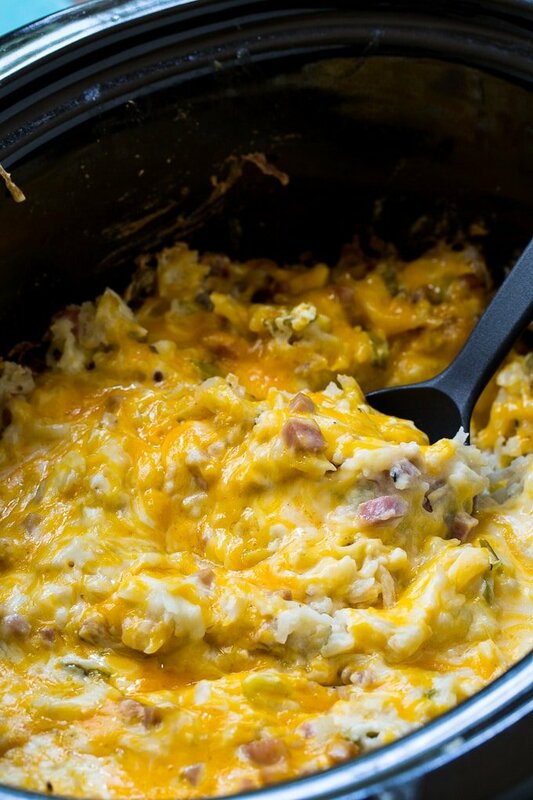 There’s plenty of ham in this Crock Pot Ham and Cheese Hash Brown Casserole so that each and every bite has a chunk of ham. This recipe is great for using up leftover Easter or Thanksgiving ham. And check out these other recipes for using up leftover ham- Ham and Cheese Quiche, Cheesy Ham and Potato Chowder, Deviled Ham, and Mac and Cheese with Ham. Never miss a recipe. 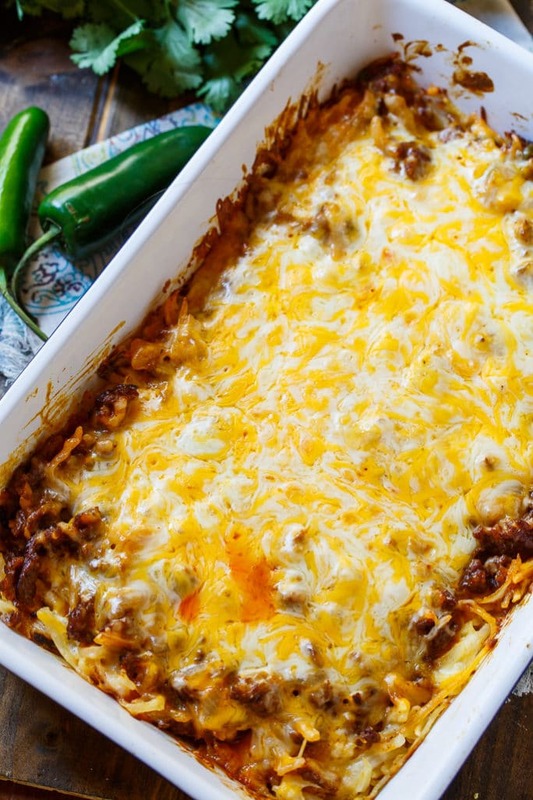 Click HERE to sign up for the Spicy Southern Kitchen Newsletter. 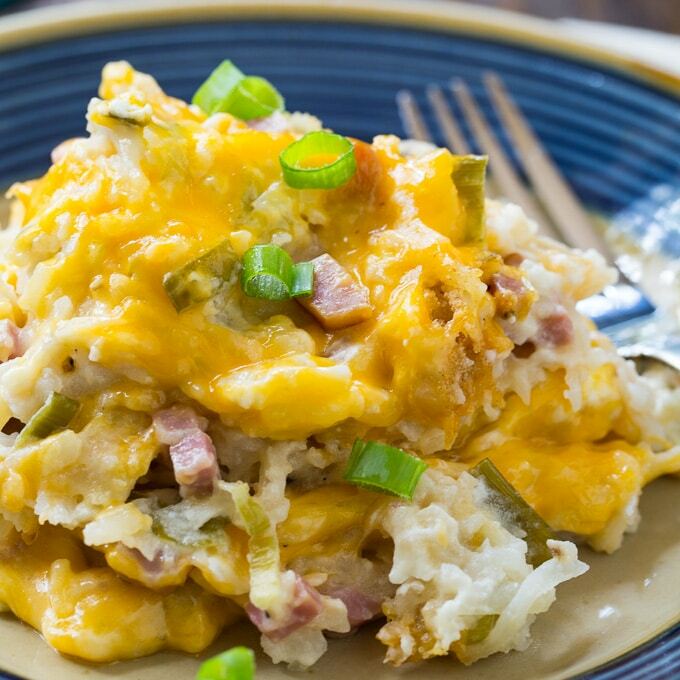 Crock Pot Ham and Cheese Hash Brown Casserole is super cheesy with chunks of ham and two kinds of cheese. Grease a 5 to 6-quart slow cooker. In a large bowl, stir together potato soup, sour cream, and cream cheese. Stir in ham, green onions, salt, pepper, garlic powder, hash browns, and 1 1/ cups Colby Jack cheese. Place 2 layers of paper towels on top of slow cooker and cover with lid. Cook on low for 4 to 5 hours. Sprinkle with remaining 1/2 cup colby cheese and the cheddar cheese. Cover and cook another 10 minutes or until cheese is melted. 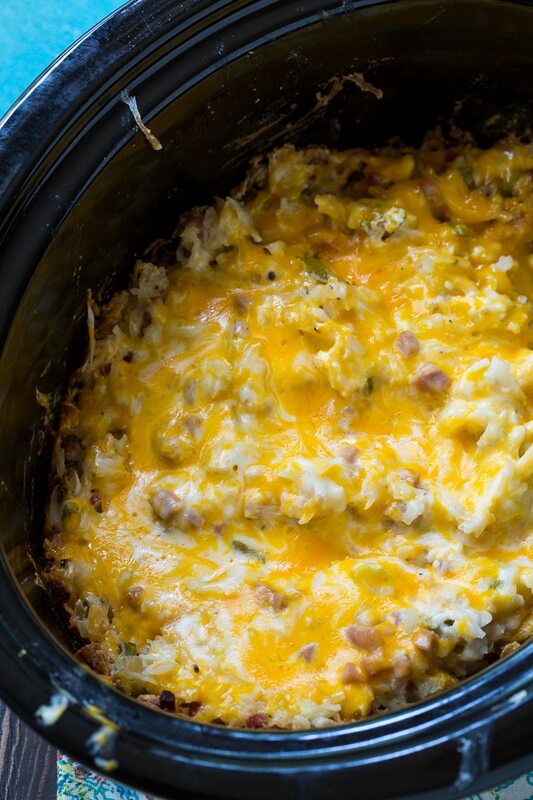 This entry was posted in Casseroles, Slow Cooker and tagged crockpot recipes, ham. Bookmark the permalink.